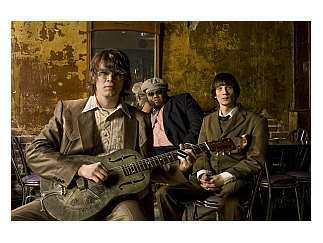 North Mississippi Allstars formed in 1996; the product of a special time for modern Mississippi country blues. Brothers Luther and Cody Dickinson soaked up the music of their father, Memphis legend Jim Dickinson, and absorbed the North Mississippi legacy while playing and shaking it down in the juke joints with their blues ancestors. R.L. Burnside, Junior Kimbrough, Otha Turner and their musical families were at their peak, making classic records and touring the world. Eventually, Luther (guitar, vocals) and Cody (drums, vocals) formed the North Mississippi Allstars and pioneered their own brand of blues-infused rock and roll.